We have a number of standard model homes, the construction drawings of which can be used as a starting point for your home. Order the neatly arranged book “Where do you feel at home”, so you can lift a tip of the veil. Order the book “Where do you feel at home”. However, we can also design a completely different house, according to your own requirements and specifications. Our know-how, skill and creativity are used for the benefit of your dream house by means of a custom-made construction drawing, which completely (or as near as possible) takes into account your program of requirements. It is important to select a supplier who adapts those construction drawings to your lifestyle. In the Netherlands we work with building regulations, zoning plans and other laws and regulations. For that reason, it is very important that your construction drawing is in accordance with both national and local standards. 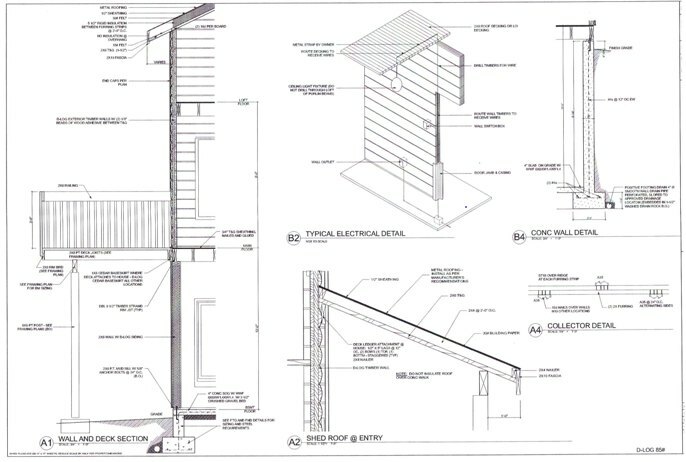 Our construction drawings are of such a good level, that you can directly use them to apply for your building permit. Of course, we also supervise this process on your behalf, as part of our service.